Waterloo police are investigating a pair of Monday night shootings that left one person dead, another injured. The fatal shooting occurred around 9:45 p.m. at a home at 84 Ricker Street on the city’s east side. Police say when officers arrived, they located a female victim suffering from a gunshot wound. She was later pronounced dead at a local hospital. 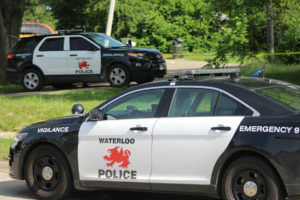 The victim’s name has not yet been released, pending notification of relatives. An autopsy has been scheduled with the Iowa State Medical Examiner’s Office. The other shooting occurred about three hours earlier in the 700 block of Logan Avenue, less than a mile away. According to police, 18-year-old Corey Dunn was taken by private vehicle to a nearby hospital and treated for a non-life-threatening gunshot wound. Officials have not indicated whether they believe the two shootings are related. Both incidents remain under investigation.